· Hard Injury such as injury to bone, skull, vertebrae, joints, etc. This is a major area where you cover your existing medical expenses as well as any future expenses that you will incur because of the injury. If you have to buy a medical accessory, you should also add it to the expenses. You lose a significant amount of your earning while you are in the hospital. Such loss of income is covered under the settlement claim. If the accident involved any property which was also damaged, you must also include the cost in the calculation to cover your losses. 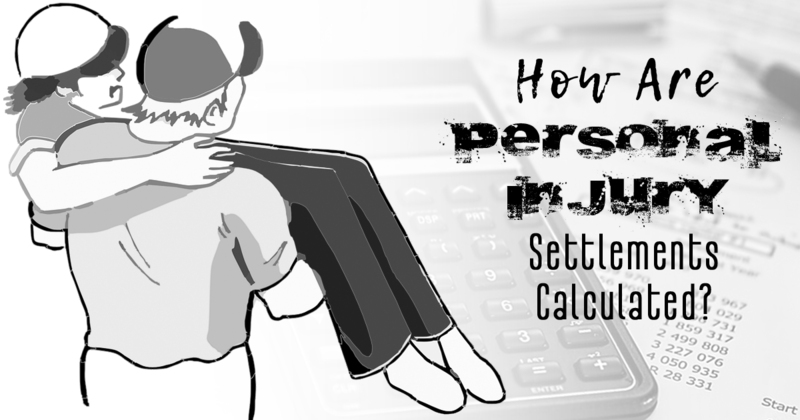 Pain & Suffering is also considered while calculating the settlement claims for personal injuries. The personal injury law firm New Heaven CT you hire will consider all these factors and calculate personal injury compensation that covers all your losses to the fullest. The compensation you demand will only cover the money that you have directly expensed. Right calculation of the personal injury settlements offers you a clear picture as how much money is owed to you and how much you may expect from your claim.